Much of the story of mankind’s voyage to the moon centers on its engineering and achievements. The massive size of the space vehicles and facilities not only dwarfed the previous generation of manned spacecraft but still remain one of the colossal achievements in human history. Many variables went into the making of the space program and in its early years many of the things we take for granted today started with manned spaceflight. The Apollo Guidance Computer one of those tools that made space travel possible. 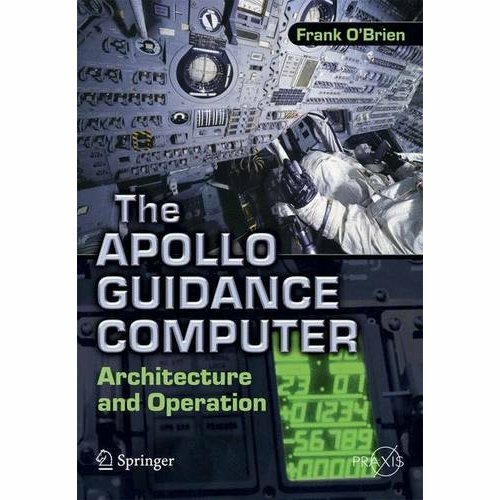 The Apollo Guidance Computer is the absolute Alpha of the Computer world today. The AGC is comparable to early PCs however the AGC did not have much memory. It had less than 8 megs of memory, very small to today’s computers. The Pcs from today can do more than is needed to sustain Computer spaceflight operations. This book focuses on the different technologies each with their own unique set of situation, small feats, etc, all invisible to the naked eye. 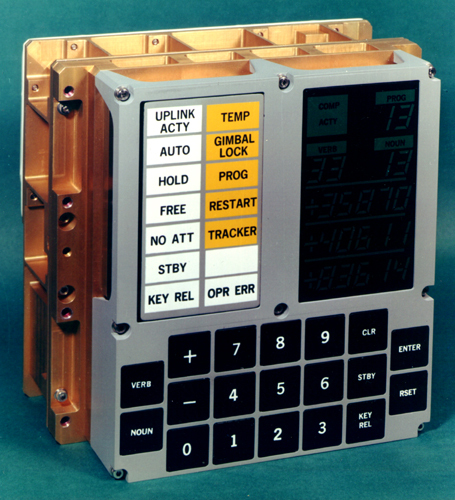 The AGC (G+N Guidance and Navigation) system is semi automatic, directed and operated by the three man crew. It performs basic functions of inertial guidance, Attitude, reference and optical navigation. and is inter-related mechanically or electrically with the stabilization and control, electric power, environmental control, telecommunications, and instrumentation systems. 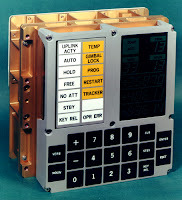 There are 3 main subsystems Inertial guidance, computer and optical. The inertial guidance subsystem senses acceleration changes and attitude changes instantaneously and provides attitude control and thrust control signals to the stabilization and control system. Optical navigation subsystems sightings on celestial bodies and landmarks on the Moon and Earth are used by the computer subsystem to determine the spacecraft’s position and velocity and to establish proper alignment of the stable platform. This book “The Apollo Guidance Computer” by Frank O’ Brian ( ISBN # 978-1-4419-0876-6) fully describes the Apollo Computer’s architecture, executive software and the programs use dby the Astronauts. It Describes the full range of technologies required in order to fly the Apollo Lunar Missions, and which enabled the United states to the to the Moon and return Safely to the Earth. After reading this book I find it to be well written and very informative about this piece of history that ushered in a new era of personal computing. Think about where we were back in 1969 and where we are today. We have come a long way technologically and the sky is no longer the limit. The new Orion capsule NASA is testing for future missions is going to incorporate a lot of what we learned from the Mercury, Gemini, Apollo, Skylab, and Shuttle missions. Technologies that we have not seen before are going to be incorporated in this new capsule. Most of our computing technology today comes from the Space Program and is applied to consumer use. I guess the quote from Star Trek is loving applied here……”To Boldly Go where No Man Has Before”. Gene Roddenberry said it best and his science fiction vision has now come to pass.